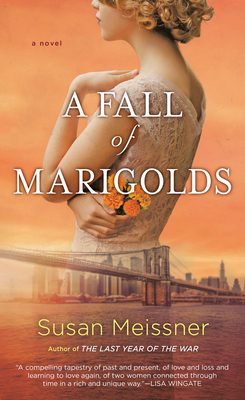 What did you most enjoy about A Fall of Marigolds? What do you think you’ll remember about it six months from now? Discuss the ways in which the contemporary and historical sections of the novel relate to each other. What story elements do they share? How do they echo and amplify each other? Did you enjoy going back and forth between the two narratives, or did you much prefer one over the other? When Clara Wood finds Lily’s letter to Andrew and the certificate of annulment, she faces an ethical dilemma—should she tell Andrew the truth about the woman he loved and break his heart, or leave him in ignorance? What would be the most ethical choice? What would you have done? Have you ever gone to, or wanted to go to, an “in-between place”? Would you share that experience? Despite the little interaction they had, Clara is convinced that Edward would have become her lover and eventually her husband. Have you ever experienced a similar certainty about someone after just meeting them? Ten years after her husband’s death, Taryn seems to be living a full life, but once her photo is published, she begins to realize that she has also been in an “in-between place.” How has she been held back? How are her circumstances similar to and different from Clara’s? Discuss the role of the marigold scarf in the story. Trace its path from Lily to Taryn. How does the scarf enrich the experience of the characters? Would you react to the scarf in the same way that the characters do? Andrew plays a key role in Clara’s life. Is it okay with you that she doesn’t end up in a romantic relationship with him? Does Ethan seem a better or worse choice to you? The book ends with Taryn and Mick heading toward a romantic relationship. Do you find that believable and satisfying? Taryn and Clara each experience a horrific tragic event in which someone they love dies. Have you ever been personally touched by tragedy? Would you be willing to share how your experience compares to what Taryn and Clara go through? Do you believe in destiny? That God has a purpose for each of our lives? Discuss how these ideas play out in A Fall of Marigolds.